Iraqi troops have recaptured the Mosul mosque where ISIS declared its caliphate three years ago. After eight months of grinding urban warfare, Iraqi government troops on Thursday captured the ruined mosque at the heart of Islamic State’s de facto capital Mosul, and the prime minister declared the group’s self-styled caliphate at an end. Iraqi authorities expect the long battle for Mosul to end in coming days as remaining Islamic State fighters are bottled up in just a handful of neighborhoods of the Old City. The seizure of the nearly 850-year-old Grand al-Nuri Mosque — from where Islamic State proclaimed the caliphate nearly three years ago to the day — is a huge symbolic victory. “The return of al-Nuri Mosque and al-Hadba minaret to the fold of the nation marks the end of the Daesh state of falsehood,” Prime Minister Haider al-Abadi said in a statement, referring to the hardline Sunni Mulsim group by an Arabic acronym. This defeat of ISIS by Iraqi government forces has been building for months as they have been pushing steadily but slowly forward in heavy street fighting in Mosul. The victory is even more significant in that it has been achieved by Iraq, not American forces, though they have been happily allied with us, and have gladly taken our aid. Will this victory lessen Islamic radicalism worldwide? No, not likely. The last eight years of bad foreign policy has allowed this evil to fester. It will take a lot more than just the fall of ISIS to cleanse the wound. We still have the Iran government and numerous terrorists organizations running governments throughout the Middle East that are their allies. They are not going away, and their goal of destroying the infidel remains. An evening pause: Hat tip Joe Griffin. Embedded below the fold. We started with Curiosity, but the main bulk of this podcast was talking about the emerging competition between numerous nations to get into space, what I label the new colonial movement. If the facts don’t fit the theory, change the facts! The scientists in charge of the climate satellite data produced by Remote Sensing Services (RSS) in California have decided to adjust their satellite data to increase the warming trend since 2000 and make that data more closely match the surface temperature data that NASA and NOAA have already altered to show that same warming trend. Researchers from Remote Sensing Systems (RSS), based in California, have released a substantially revised version of their lower tropospheric temperature record. After correcting for problems caused by the decaying orbit of satellites, as well as other factors, they have produced a new record showing 36% faster warming since 1979 and nearly 140% faster (i.e. 2.4 times larger) warming since 1998. This is in comparison to the previous version 3 of the lower tropospheric temperature (TLT) data published in 2009. How have they done this? They made several changes, the first two of which appear quite questionable. First, they addressed the “time of observation issue.” There is a belief among some climate scientists that the time temperature readings were taken can introduce an error in the long term trends. I am puzzled by this, since satellites in orbit do not take readings at one particular time, but at a wide range of times. In fact, I would say that the number of readings, at all different times, would easily introduce enough randomness into the results that any error would be insignificant. Instead, these scientists have decided to adjust the raw data to add a warming trend of almost a tenth of a degree centigrade. Next, they simply decided that the data coming from some satellites should be excluded. Capitalism in space: SpaceX yesterday successfully completed the static fire dress rehearsal countdown for its planned Sunday Falcon 9 launch, which would be the third SpaceX launch in 9 days. This mission [the Florida launch of a Bulgarian satelltie] also included another test per SpaceX’s fairing recovery aspirations. Classed as the best attempt to date, SpaceX has added steerable parachutes to guide the fairing halves to the ocean surface, before it deploys a “bouncy castle” that protects it while it awaits recovery. The technology is still being refined, but Elon Musk believes full recovery could be achieved later this year. The Senate subcommittee marking up the proposed NASA budget has followed the House lead and restored most of the cuts proposed by the Trump administration. The bill provides nearly $780 million more for NASA than the administration’s request, including an increase of more than $615 million for exploration programs, such as the Space Launch System and Orion. “We made sure the Space Launch System is fully funded, and that astronauts will have the ability to go beyond low Earth orbit in the Orion crew vehicle,” Culberson said. The bill restores funding for NASA’s Office of Education, which was slated to be closed in the budget proposal. The bill provides $90 million for the office, including funds for two programs in that office, Experimental Program to Stimulate Competitive Research (EPSCoR) and National Space Grant College and Fellowship Program, that would have been shut down. It appears that Republicans, like Democrats, have no interest in gaining any control over its out-of-control spending. The Trump budget was a very reasonable document, and would have done no harm to NASA’s overall mission, and in many ways would have helped focus it. Congress however can’t stop spending, no matter who the voters put in power. The only area where Republicans seem willing to fight for cuts is in NASA’s climate budget. With both the House and the Senate bills, the Republicans supported most of these cuts, though not all. In other words, private enterprise can’t do it! We need big government, routinely over budget and behind schedule, to make it happen! Link here. The Russian airline company S7 wants to resume use of the Ukrainian Zenit rockets on the Sea Launch platform. They also want to fly that rocket several times from Baikonur. The problems have been getting Russia and Ukraine to work together. Despite good progress on the engineering front of the Angosat-1 mission, political problems continued hampering the preparations of the Russian-Ukrainian launch. As of the end of June 2017, the planned liftoff for Angosat-1 slipped to October 21, however, even that date was considered optimistic within the industry. At the time, the Ukrainian team, which had to perform a scheduled maintenance on the Zenit rocket, was still waiting for permission to travel to Baikonur from the Ukrainian authorities. Earlier, there were disputes from Russia that delayed work. The new colonial movement: Japan’s space agency JAXA has proposed that Japan participate in a lunar manned mission to be flown by the 2030s. The report is very vague. It suggests that Japan create such a mission, but also do it as part of a larger international effort, which presently doesn’t even exist. A Russian student project hopes its cubesat satellite will become the brightest star in sky when it launches as a secondary payload on a Soyuz-2 rocket on July 14. The mission was funded through a Russian crowdfunding website. While everyone is making a big deal about the satellite’s brightness, the engineering being tested to deploy the reflector, control it, and then deorbit the cubesat in a controlled manner is far more important. Up until recently most cubesats had somewhat limited capabilities, and were used almost exclusively to train students on satellite engineering. This mission joins many other recent missions in demonstrating that cubesats will soon be able to do almost anything much larger satellites do, and thus are economically more practically to launch. Capitalism in space: The smallsat rocket company Vector has obtained $21 million in new funding, making it possible for it to accelerate its test rocket schedule. With this most recent round of funding, Vector will accelerate the company’s upcoming flight test series and launch orbital customer missions in early 2018. Vector’s next launch is planned for Summer 2017, making it the first launch ever from the historic Spaceport Camden in Georgia, where NASA tested rocket engines in the 1960s. In addition to flight test launch activities, Vector plans to develop its first GalacticSky satellites and break ground on a world-class rocket factory in Pima County, Arizona. It seems that the smallsat market is going to get very crowded in the next few years. As much as I am in favor of this, we must also recognize that it is likely that the market will not be able to support all the companies now pushing to grab that business. Some are going to fail, though I have no idea at this point which companies that will be. Not that this is a bad thing. Competition requires many companies. It also requires failure, balanced with much success. Capitalism in space: The first test flight of World View’s stratospheric balloon has begun, carrying with it as well a KFC chicken sandwich. The Zinger-1 mission will serve as a test flight for World View, which aims to make stratospheric balloons that can remain in flight for months at a time. The flight is scheduled to be the first “extended-duration development flight of [World View’s] high-altitude Stratollite vehicle,” according to a statement from the company. The chicken sandwich stuff is pure pr, and completely silly. It helped pay for the mission, however, which is not so silly. 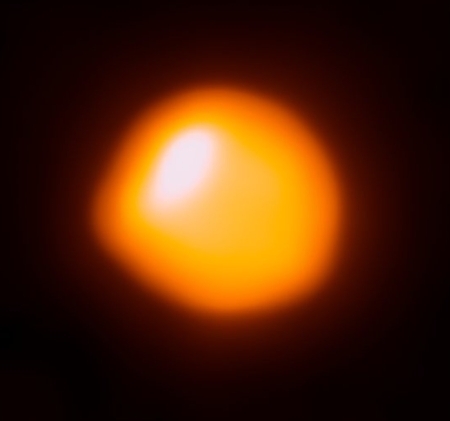 Using the Atacama Large Millimeter/submillimeter Array Telescope (ALMA), astronomers have produced the best picture of the red giant star Betelgeuse taken so far. Using ESO’s Very Large Telescope astronomers discovered a vast plume of gas almost as large as our Solar System. Astronomers have also found a gigantic bubble that boils away on Betelgeuse’s surface. These features help to explain how the star is shedding gas and dust at tremendous rates (eso0927, eso1121). In this picture, ALMA observes the hot gas of the lower chromosphere of Betelgeuse at sub-millimeter wavelengths — where localised increased temperatures explain why it is not symmetric. The image on the right is that image, slightly reduced to post here. The bulge on the star’s left illustrates the unevenness of the star’s upper atmosphere. I suspect that continuous observations would reveal the outer atmosphere waxing and waning almost like the stuff inside a lava lamp. Engineers have designed and uploaded new software to Curiosity to better protect and use the rover’s wheels as it travels over rough terrain. The software, referred to as traction control, adjusts the speed of Curiosity’s wheels depending on the rocks it’s climbing. After 18 months of testing at NASA’s Jet Propulsion Laboratory in Pasadena, California, the software was uploaded to the rover on Mars in March. Mars Science Laboratory’s mission management approved it for use on June 8, after extensive testing at JPL and multiple tests on Mars. The timing is important, because Curiosity is about to move into terrain that looks far rougher than the ground it has so far traversed. The House committee marking up NASA’s budget has added about $800 million to the budget proposed by the Trump administration, restoring the proposed cuts in the SLS/Orion budget as well as in NASA’s education programs. NASA’s exploration account receives the largest increase in the House bill: a $616 million increase over the request to $4.55 billion. The bill would fund the Orion spacecraft and Space Launch System at the same levels as in the 2017 omnibus bill, rather than the lower levels in the budget proposal. It increases funding for ground systems and exploration research and development above both the request and the 2017 omnibus bill. The bill would also restore much of NASA’s education program, which the administration proposed closing in its 2018 budget request, offering $37.3 million in closeout costs. The bill offers $90 million for education, $10 million below the 2017 level. The bill specifically funds two programs in that office, Experimental Program to Stimulate Competitive Research (EPSCoR) and National Space Grant College and Fellowship Program, that would have been shut down in the budget request. The budget also adds money to the planetary budget, but also micromanages NASA by ordering it to fly two missions to Europa. What this budget tells me is that the Republicans in Congress have no idea why Trump was elected. The public likes space, but it does not like its tax dollars wasted, and the public who voted for Trump (and the Republicans) considers much of what the federal government does to be a big waste. They want that budget trimmed. The Trump budget didn’t gut NASA, but it did try to refocus its effort away from pork. These House changes reinstate much of that pork. Capitalism in space: Arianespace today successfully launched two commercial satellites, using its Ariane 5 rocket. It’s about time. China’s national oil company has suspended all oil sales to North Korea because of lack of payment. The reason North Korea doesn’t have the money to buy oil is largely because it hasn’t been able to sell any coal to China. And the reasons for both is likely China’s increasing desire to rein in North Korea’s missile and nuclear arms programs. Without oil or coal, North Korea’s leadership will find itself hard-pressed to survive. What could possibly go wrong? A federal law passed in 2015 and signed by President Obama now requires public school teachers to do mental health assessments of their elementary school students, without obtaining parental permission. You read that right: if you live in an ESSA state, your child’s mental health will be assessed by a non-medical professional in a non-medical context. The paperwork will not be protected by HIPAA laws, which means that the school district can share a teacher’s assessment of your child’s mental health with literally anyone. Parents are not asked for permission before the DESSA is administered, nor do they have any say over where the records go once they are obtained. Worse, the assessments require teachers to fill out a form with 72 questions on each student, a time-consuming task that will likely interfere with unimportant things like teaching. Cool image time! 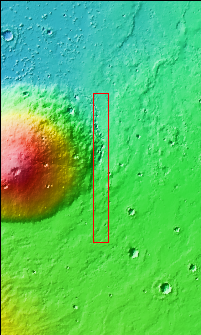 The image on the right, reduced in resolution significantly to show here, was taken by the Themis camera on Mars Odyssey, and shows an unnamed canyon on Mars. Be sure to click on the image to see the full resolution version. This canyon of course no longer has anything flowing in it. Moreover, it is not clear whether this was formed by water or lava. Unfortunately, the image is part of a series of “Art images” from Mars Odyssey, where they pick an image and suggest it looks like something else. In this case, they are claiming this looks like a “snake, slithering down the image.” Cute, but not very helpful. 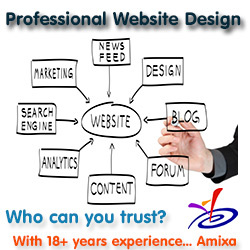 And unfortunately, they don’t add any further details at all about the image or its location. The context image suggests this canyon is next to a volcano. After doing further research at the Themis image site, I was able to locate this image on Mars (using latitude 32.0515 and longitude 152.236 given at the link) and look at the images surrounding this one. Further research identified the volcano as Hecates Tholus in the Elyesium Plantia region to the west of Mars’s giant volcanoes. Looking at all the nearby Mars Odyssey images, it appears that there are a lot of flows like this in this area, and all of them appear to be lava flows, with this one being the largest. A close look at the area just to the south of where the deep canyon opens out shows that the small surface flow draining into the canyon also appears to sit on much larger surface flows (at least two) that left the surface higher than the surrounding terrain. Elyesium Plantia itself is a plateau, somewhat close to the border between Mars’s southern highlands and the northern plains where some scientists think an ocean might have once existed. Thus, it makes sense that the canyon drains north, as it is following the dip down to those northern low plains. Capitalism in space: SpaceX is proposing to expand its facilities at Port Canaveral for refurbishing used first stages. It appears they need the approval for the work from the port’s Board of Commissioners, though I suspect this board will rubber stamp its approval as quickly as it can. One tidbit from the story. SpaceX has so far recovered 13 first stages and flown two again. One (the first) has been put on display, which leaves 10 available for reflight. They plan to use two on the first Falcon Heavy launch. The remaining 8 are likely for sale (maybe 10 if the two reflown fly a third time), which explains the negotiations going on with Iridium and others. Using data from the Voyager 2 flyby of Uranus in 1986, scientists now think that the gas giant’s magnetic field switches on and off each day as the planet rotates. Uranus’s magnetosphere, in contrast [to Earth], exhibits precise regularity in its mode changes. This, say the researchers, is because it lies at an angle of roughly 60 degrees to the planet’s spin axis, causing its interaction with incoming solar winds to vary dramatically during the 17 hours it takes for a full rotation. “Uranus is a geometric nightmare,” says Paty. The researchers suggest the robust and regular changes to the magnetosphere may mean that the icy planet has spectacular auroras across its breadth every day. Capitalism in space: MDA and SSL Loral today announced the formation of a new company, Space Infrastructure Services (SIS), that will service satellites already in orbit. This partnership is based on the engineering being developed by SSL Loral under a DARPA research project. The most important part of the announcement however is that SIS has also signed up its first customer. As it did with SpaceX, SES is aggressively supporting this new technology that will revolutionize space operations. Here the technology will allow them to repair their satellites, thus saving them the cost of replacing them with new satellites. The first unmanned test flights of the manned capsules being built by SpaceX and Boeing are moving forward and appear to be on schedule. Currently, SpaceX is on track to be the first to perform their uncrewed flight, known as SpX Demo-1, with Dr. Donald McErlean reporting to the ASAP that the flight continues to target a launch later this year. Currently, both NASA and SpaceX hold that SpX Demo-1 will fly by the end of the year – though L2 level KSC scheduling claims the mission has potentially slipped to March 2018. Regardless, SpX Demo-1 will be followed – under the current plan – by Boeing’s uncrewed OFT (Orbital Flight Test) in mid-2018. The article is worth a careful read, as it describes in detail the political and bureaucratic maneuverings that are taking place to get the NASA bureaucracy to accept the work being done by these two private companies. Make sure especially that you read the section about NASA’s desire that the vehicles meet an imaginary safety standard where they will only lose a crew once every 270 flights. The NASA bureaucracy has claimed for the last few years that neither spacecraft is meeting this requirement, but according to this article it appears they are finally also admitting that the requirement has really little basis in reality. In other words, NASA’s safety panel is eventually going to sign off, no matter what. Note also that the GAO’s earlier complaints about Boeing’s parachute testing program have now apparently vanished. Embedded below the fold. After John and I finished interviewing Iridium CEO Matt Desch for 10 minutes, we then followed with our normal 20 minute podcast, covering the news for the last week.